Uh, it’s about three hundred pages. As much as we may hate it, the question is an important one. Yet, how can we boil down something we’ve suffered and agonized over for months — or even years — into one or two non-Faulkneresque sentences? Let’s take some well-known books and ask the dreaded question. An abused orphan boy is summoned to a wizard academy, embarking on a journey to fulfill his destiny. A story of true friendship between Wilbur the pig and Charlotte, his spider savior. A family of four brothers and sisters step through a closet into a world where they must defeat an evil queen to save their friends and find their way home. Of course they are! And so is your book. But, here’s the thing: when someone asks you that question, it’s not an invitation for you to audition as the narrator for the audio version of your book. If you can’t give them some idea of the story in five seconds or less, their eyes are sure to glaze over while they internally berate themselves for ever asking you the question in the first place. Jenni and her eighth-grade science class are sent to another world where they are transformed into magical creatures in order to battle an evil shapeshifter. When parsing your own work, try to concentrate on three things: The characters (protagonist), the conflict (the antagonist), and one thing that makes your book a little different from most. Middle Grade Fantasy, FREE for your ebook! 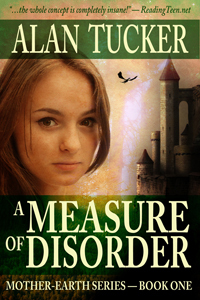 In my line above, for A Measure of Disorder, Jenni and her eighth-grade class are the protagonists, the evil shapeshifter supplies the conflict, and being changed into fantastical creatures is something that sets the story apart from many others. I could have chosen to highlight the ecological themes in the story, or the societal pressures the characters encounter within their own group and also in the new world they discover, but, seriously, who wouldn’t want to read a story where a bunch of kids get turned into dragons, fairies, and elemental spirits? Here’s the part where it gets hard. (And you thought writing that logline/elevator pitch was the hard part!) Not everyone is going to like, or be interested in, your book. There. I said it. However, you shouldn’t let that fact discourage you, either in your writing or in your willingness to answer the question: What’s your book about? One of the beauties of the world we live in is its diversity. Nothing is universally liked. Not even kittens or ice cream! (I know, right? But, it’s true.) And, as a result, not everyone is going to like your book. But that’s okay! Have you liked every book you’ve ever read? Chances are you haven’t. Did that make those books you didn’t like terrible trash that weren’t worth the paper they were printed on, or the electrons used to display them on your ereader? Most likely not. Go read some of the negative reviews on books you loved. You’ll probably be shocked at some of the responses. So, go and bravely craft your answer to the dreaded question! And don’t be discouraged if everyone you encounter doesn’t do backflips of excitement and joy upon hearing that answer. You’ll eventually find your audience. Alan Tucker, author of The Mother-Earth Series (A Measure of Disorder, A Cure for Chaos, and Mother’s Heart), as well as the science fiction series, Tales of Uncertainty (Knot in Time, Abandon Hope, and the newly released Going Solo), is a dad, a graphic designer, and a soccer coach. Mostly in that order. He’s had a lifelong adoration of books, beginning with Encyclopedia Brown, progressing through Alan Dean Foster’s Flinx, and continuing on with the likes of Jim Butcher, Rachel Caine and Naomi Novik, to name a few. Ha! Thanks. 🙂 Faulkner and I had many long, unpleasant nights together in college. Creating page-long sentences is not something that should be applauded, in my opinion. But congrats on being so close to the end of your latest! Woohoo! Great thoughts Alan 🙂 I, too, hate that question but appreciate your take on how to quickly summarize. Thanks for stopping by! The good news is, the question gets easier to answer with practice. So true. Most people are asking out of passing curiosity or just making small talk. You could tell them anything! If they ask a follow-up or two, then they are actually interested. I usually try to turn the conversation around – asking what books they like, or if they’ve ever thought about writing a book. Then we get to actually talk about literature and writing. Absolutely, Cynthia. Book fairs and conventions are the best place, for me at least, to ask questions to the passersby. Especially since I have a couple of series out, it helps to guide them toward something that might be of interest to them. Great reminder on how to be succinct, even with books spanning hundreds of pages. Thanks, Alan! Thanks for reminding us about that dreaded question and how to create that single sentence answer. The ability to have a one sentence description is so important for writers yet is often ignored. And I’m glad I’m not the only one who dislikes hearing a endless chapter by chapter summary of someone’s book when I just want to know what it’s about. It really is hard to let go and remember that, to everyone else, your book is just another book. Once you can do that, it gets a little easier to work the business side of things, like writing blurbs and pitches. Wait, not everyone likes kittens or ice cream? Really? Those people need a shake down! LOL! Wonderful post, Alan! You’ve broken down a simple way to tell readers about what a book is about. Brilliant! Jotted down some notes when I go to write my logline/tagline for my next time travel tale. Cheers! I hope it can be of some help 🙂 Thanks for stopping by, Sharon! Great post, Alan! I always struggle with this part as well as the blurbs! Thanks for giving us a simple formula! It’s amazing how hard those little snippets can be! We can write a 50, 60, 70 thousand word book — or more — but finding the right 40 or 50 words to describe it often takes a similar effort. Thank you, Lisa! This is fantastic. And funny. And true! Glad you liked it, Lia! Thank you. Great post, Alan. Insightful and true. Great post! Very helpful points!